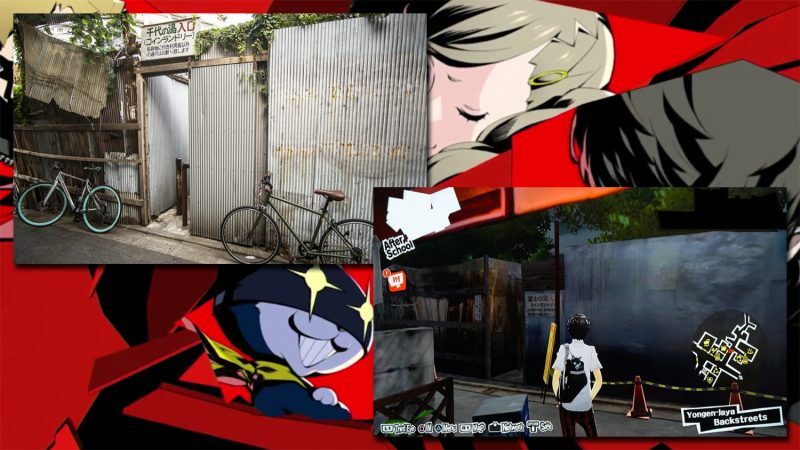 In Persona 5, the playable character, known only as Joker, lives and works in a neighborhood of Tokyo called Yongen-Jaya. Although the name is fictional, it is very much based on a real world place called Sangen-Jaya (三軒茶屋), which means Three Tea Houses. Yongen-Jaya (四軒茶屋) simply means Four Tea Houses. Persona 5 was released in Japan in 2016 and in 2017 for the rest of the world. 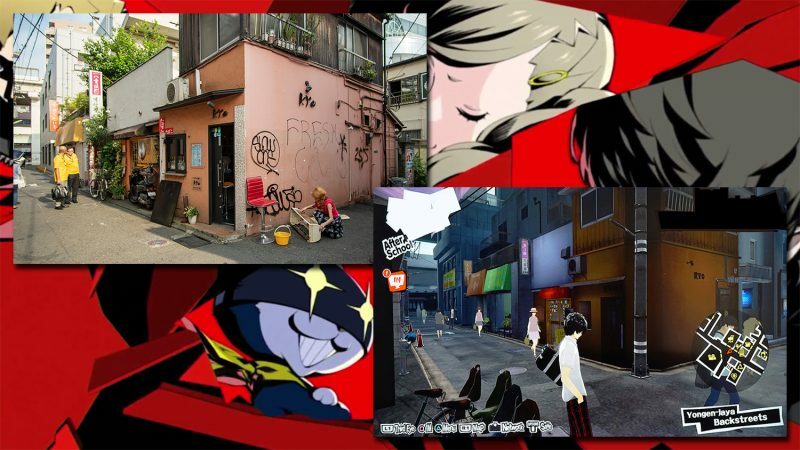 Director and producer Katsura Hashino wanted Persona 5 to exemplify Japan and Japanese society. 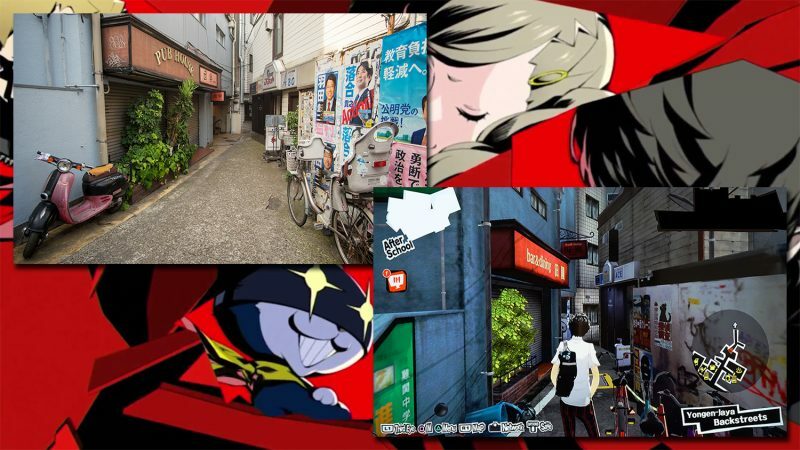 The game is set in Tokyo, and you can visit many locations that are inspired by actual locations in the city. Some are even recreated to a T. Let’s look at a few examples. The geography is surprisingly accurate, too. The Den-entoshi line from Shibuya to Sangen-Jaya. 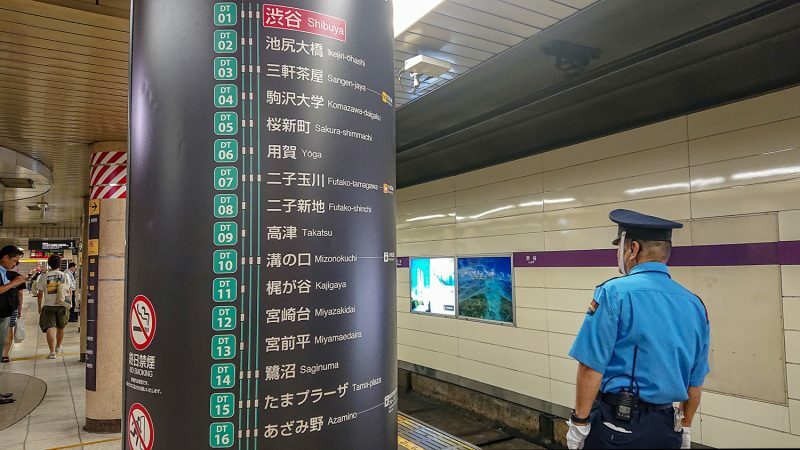 One of the first places you can visit is Shibuya Station. 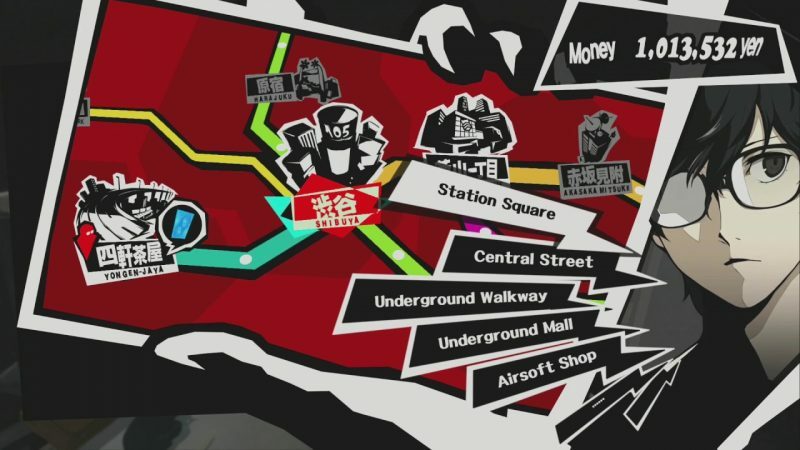 Just like in real life, Shibuya Station is two stops from Sangen-Jaya, along the Tokyu-Den-entoshi Line. Luckily, the game condenses travel time between stations, if only public transit could be that easy in real life. 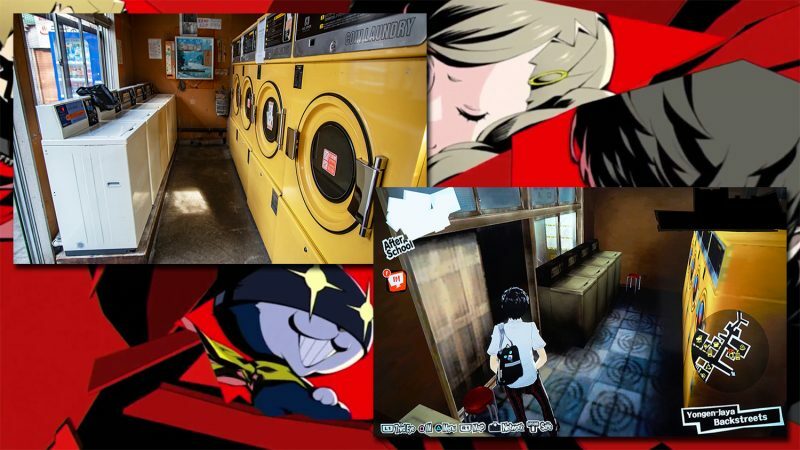 The laundromat is only useful in-game to clean dirty clothes found as loot in various dungeons. Much like in real life, it’s best to save up a few dirty items before wasting a time slot cleaning them. The similarity between the game and real-life location is uncanny. 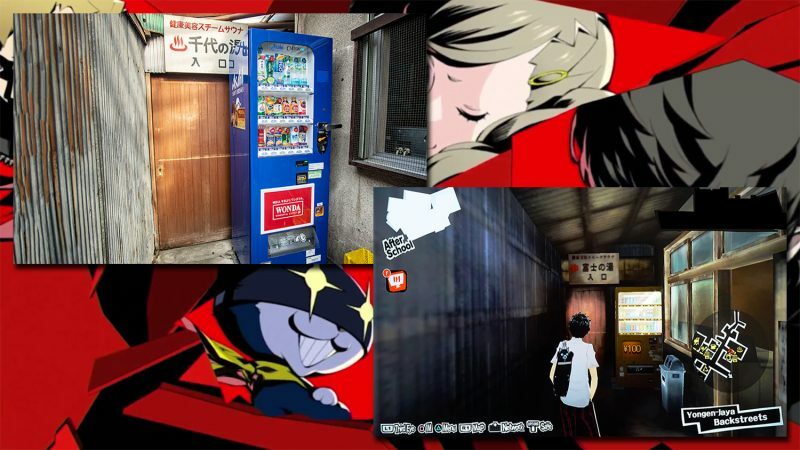 The vending machine in front of the bathhouse is one of the few in the game where you can purchase drinks that restore SP, which is vital to be able to use your Persona’s special abilities. Ideally, it’s best to go on a Monday, Thursday, or on rainy days in order to get a boost of Charm. The real life supermarket, Hanamasa, is open 24/7 with an entire basement floor dedicated just to meat. 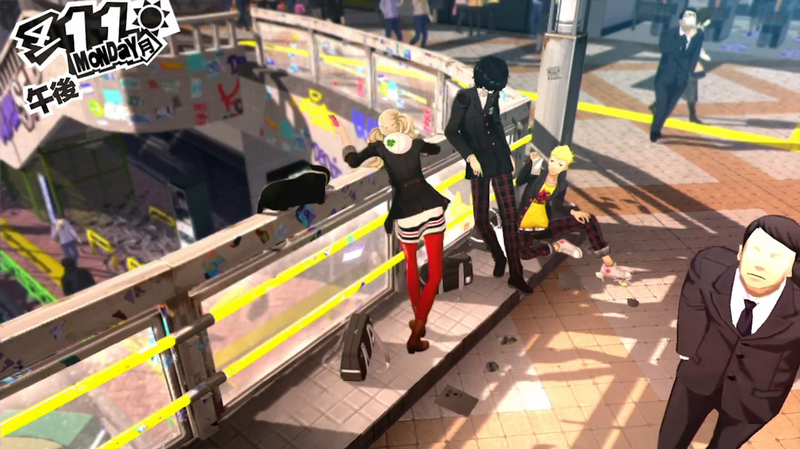 In game it’s where Joker can purchase HP restoring items for his allies in battle. You can also see the batting cages are to the left in real life but in-game it’s to the right. Everyone loves baseball! Entering the batting cages starts a mini game where you can win stat-boosting items to help in battle by hitting a home run. Playing also levels up your Proficiency stat. Just like in the game, most places were closed and shuttered in the backstreets. 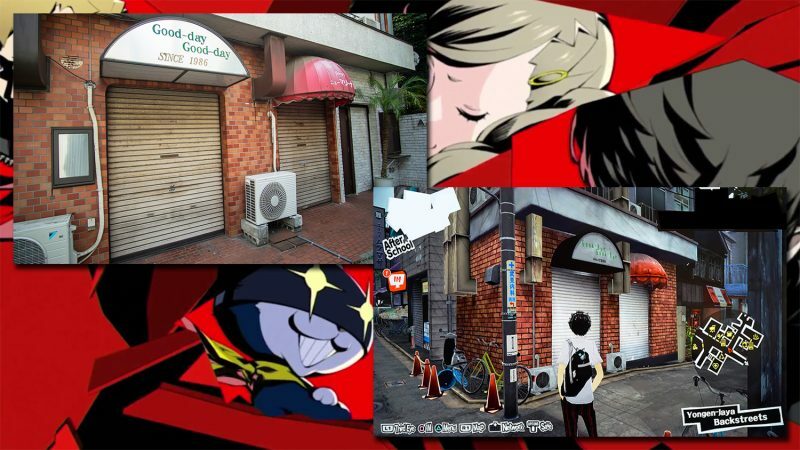 They’re either closed permanently or these places in Sangen-Jaya is only active at night. The secondhand shop found in the game unfortunately didn’t exist in real life. 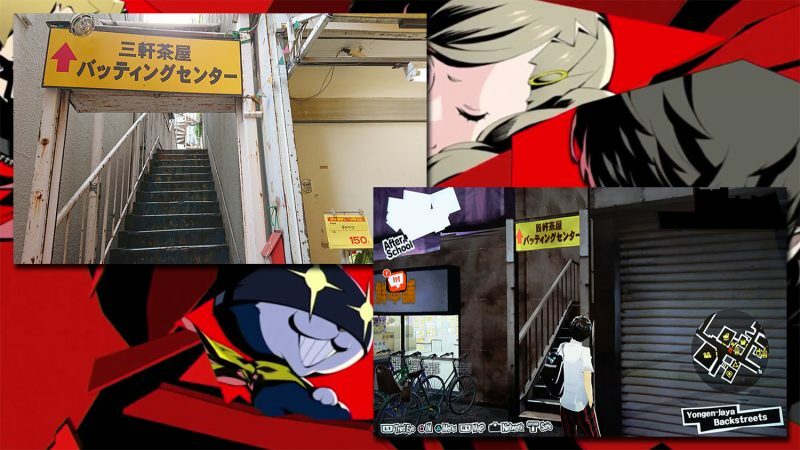 Two notable absences in the real-life locations were Cafe LeBlanc and Dr. Takemi’s medical practice. However, these places focus on healing and power ups, so you have to allow the game some artistic license. According to Twitter, Cafe LeBlanc’s real world inspiration is Cafe de L’ambre in Ginza, an area of Tokyo nowhere near Sangen-Jaya. 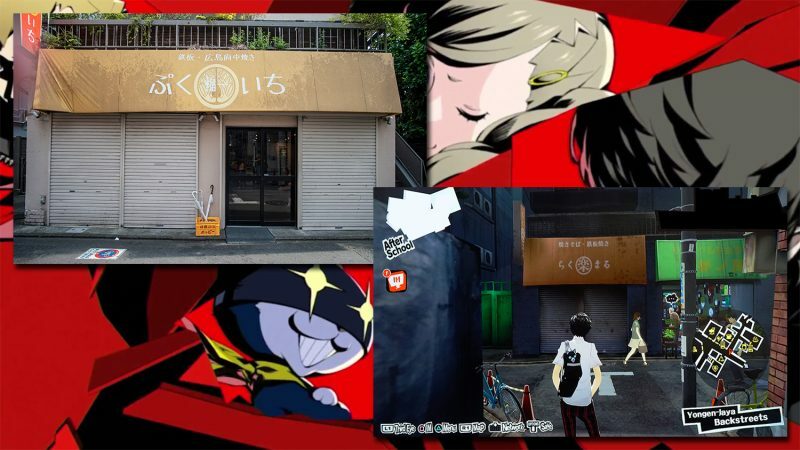 The photos in the tweet are eerily similar and the owner of the real world cafe has a similar name to Cafe LeBlanc’s owner, Sakura Sojiro. 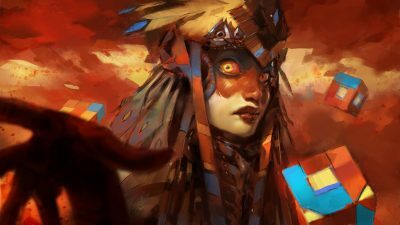 Interested in checking out more real world locations? 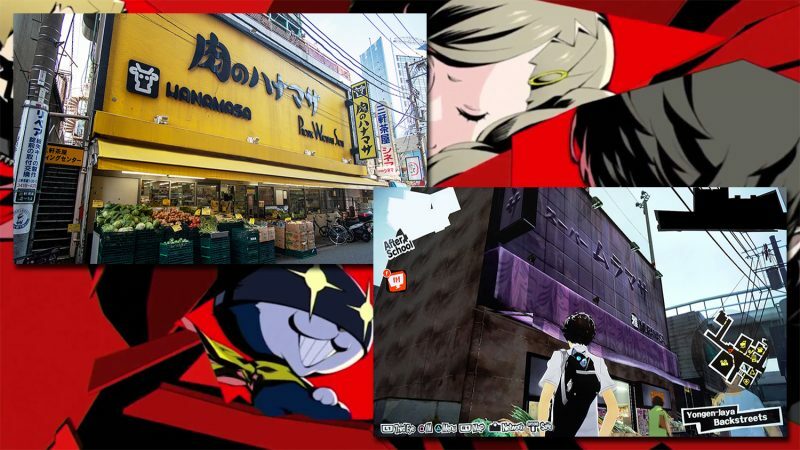 Here’s a Google map of all Persona 5 places you can find in Tokyo. Natsuge Museum: Akihabara’s Best Retro Arcade?